Lagakali is an 11 year old girl. "Kali" is the second of four children. 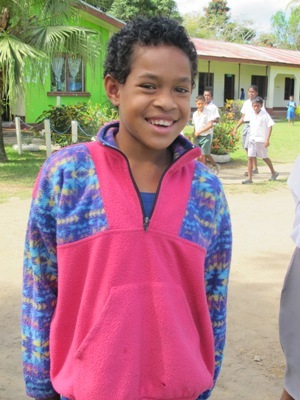 She lives in a traditional Fijian village setting and up until recently had a Mum and Dad caring for her at home. Their life was simple but both parents were employed. Some months ago Kali's Mum was struck down by a savage stroke and is now partially disabled. 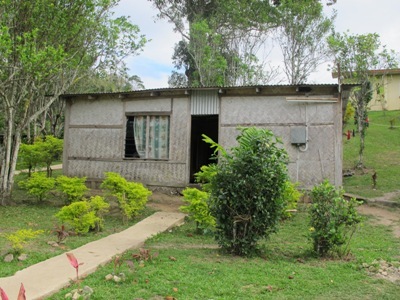 She has moved away to live with relatives and be closer to the hospital. Kali's Dad continues to care for the kids with help from extended family. He works in town carrying people's shopping and earns just a few dollars a day. When we visited he was not even earning, that as his younger daughter was striken with a serious illness and he was with her in the hospital. Kali enjoys attending school and her favourite subject is English. When she is not at school she loves to spend time reading. Kali travels to school each day by carrier. When she grows up, Kali wants to be a nurse. Kali's mother has had a stroke and her father doesn't earn much working at the minibus station. I recommend that Kali receives support to continue her education.